Order a library of ultrasounds with NOELLE. 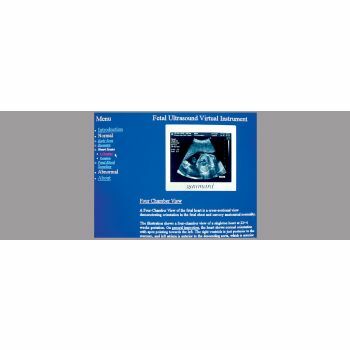 Contains digital videos of normals and abnormal fetuses from 11 to 37 week gestation. Images are dynamic and repeat every 5-15 seconds. Each image is provided with a description which is accessed by using the scrolling at the right.